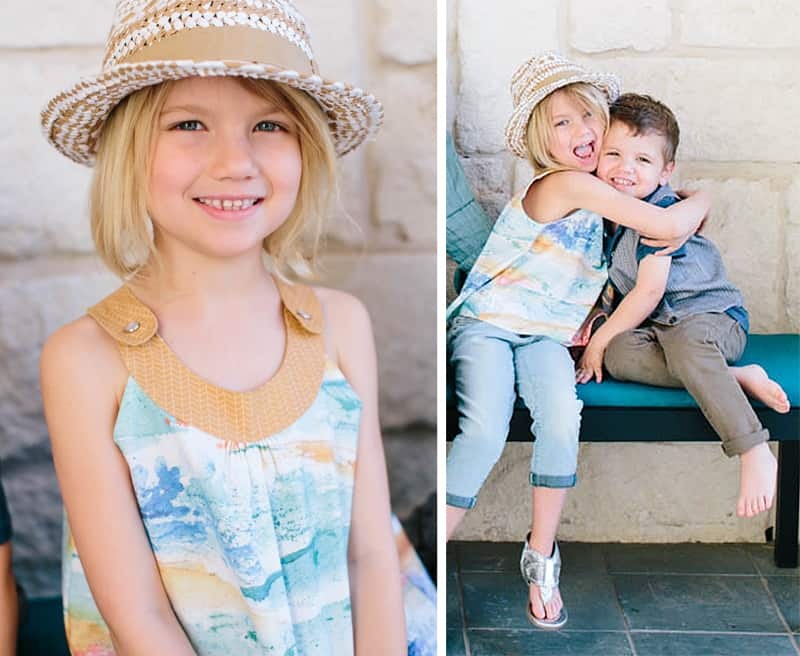 One of our most popular sewing tutorials, the Snappy Toddler Top is now available as a FREE Downloadable Pattern featuring size 6-12 Month through 5/6 years. Print out the Snappy Toddler Top Pattern Here and then click here to find the original Snappy Toddler Top instructions. 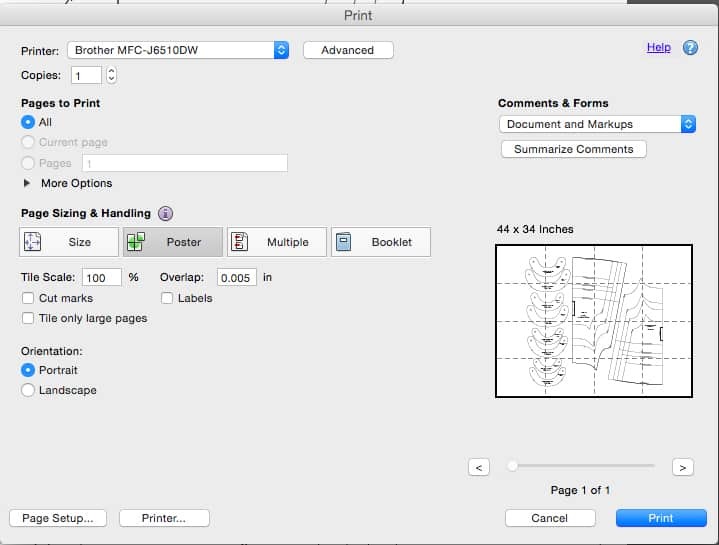 To print the pattern, download the file and in the print dialog box, select “Poster.” This will automatically print the pattern as displayed below, ready for you to tile together. The Snappy Top that Clare is wearing in the photo above features my own fabric designs, Wildflower Field and Gold Herring which are available in my Spoonflower shop. Any hints for printing from a Mac? My print dialogue box doesn’t have “Poster” as an option. Same here…grrr. Please post if you find out how to print please! First I downloaded the pattern. Then I opened it with Adobe Acrobat. When you choose “File > Print”, you have the possibility to change ‘Page handling’. I put ‘page scaling’ on ‘Tile all pages’. On first view it seem to print everything on original size.